EA and Respawn will officially unveil their single-player Star Wars game at this weekend's Star Wars Celebration and you can watch it here right along with Shacknews. This weekend brings Star Wars Celebration to Chicago, IL, where thousands of Star Wars fans have congregated to celebrate the franchise they love the most. Friday's convention kicked off with the reveal of the first teaser for Star Wars Episode IX: The Rise of Skywalker. The convention's second day is set to begin with the official reveal for the next big Star Wars video game, Star Wars Jedi: Fallen Order, from Titanfall creators Respawn Entertainment. Star Wars Jedi: Fallen Order was first revealed at the 2018 EA Play event, just days before the official start of E3 2018. Heading into Saturday's reveal presentation, there are few knowns about this game. What's known so far is that it is a single-player, story-driven Star Wars game. The game will feature no multiplayer or microtransactions of any sort. During the initial EA Play tease, Respawn co-founder Vince Zampella stated that the story would take place in very "dark times." Specifically, those dark times fallen between the first two Star Wars trilogies, following Order 66 when the Jedi were branded as traitors to the Republic. Earlier this week, Fallen Order received its first major teaser image. In fact, teasers have been released throughout the week, leading up to Saturday's presentation. What is expected at today's reveal? First and foremost, an official trailer is likely to be unveiled. Respawn is also expected to reveal the specific story details behind Fallen Order, namely who the protagonist is, what type of gameplay elements players can expect to see, and what types of Force-related abilities players can put to work. It's also likely that a release window will be given. An early 2018 report had the game lined up to release prior to fiscal year 2020. One would expect that the game will see the light of day around the time that The Rise of Skywalker hits theaters. Expect the EA Star Wars website to also be updated with an official Fallen Order page. 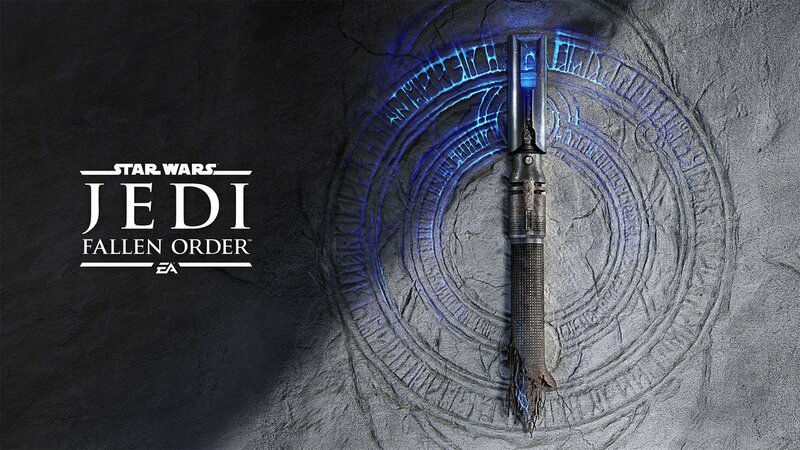 Tune in today at 11:30AM PT for all of the details regarding Star Wars Jedi: Fallen Order. Shacknews will be watching along with everyone else and will report on any news coming from today's presentation.